Based in Manhattan Beach California, R+D Body’s goal is to help you “reach the next level” — that’s the slogan that’s all over their website — and to do that they offer a variety of supplements for different goals including nutrition, fat loss, energy, and recovery. 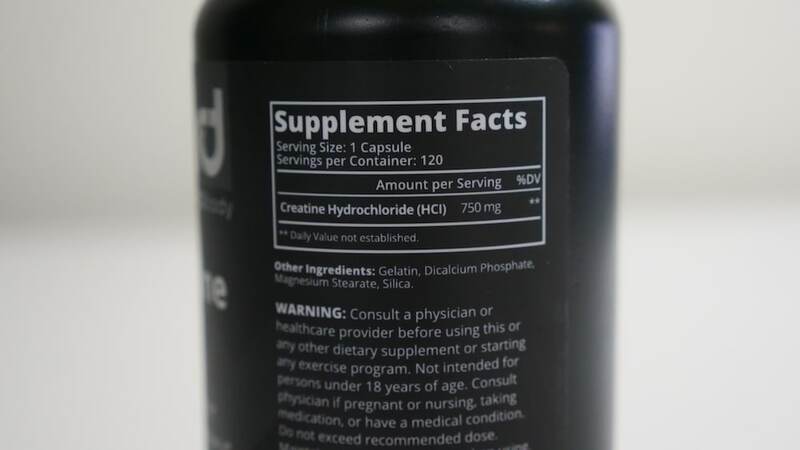 Their creatine capsules are an unusual supplement in that they’re made from creatine hydrochloride, a low-pH version of the supplement that R+D Body claim has greater uptake than regular creatine monohydrate. Let’s take a closer look. Shop Creatine HCl on Amazon HERE. The main ingredient is creatine hydrochloride, and one capsule contains 750 milligrams of it. The other ingredients are mostly stabilizers and anti-caking agents like dicalcium phosphate and silica, along with magnesium stearate, which is a “flow agent” meant to stop the product from sticking to the machinery in the facility where it’s made. Note that the pills are made from gelatin. I called R+D Body and learned that it’s “beef and/or pork” gelatin, which may make this product off limits for some customers. More creatine? No problem, check out the best creatines we reviewed. 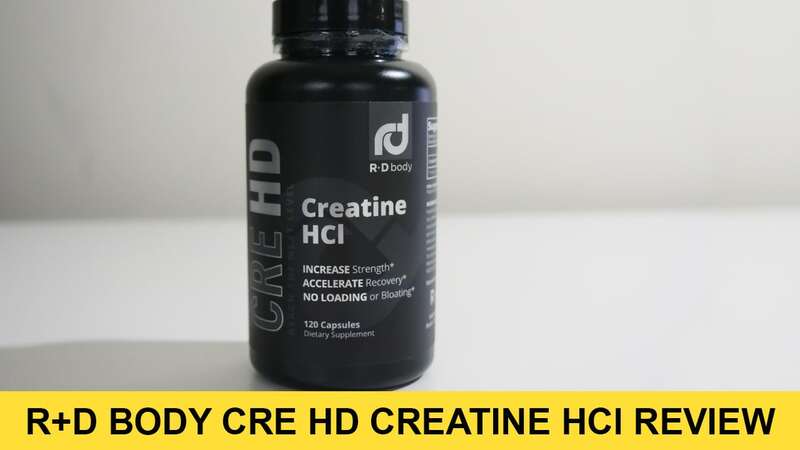 CRE HD is unlike a lot of creatine hydrochloride (HCl) supplements in that it doesn’t recommend a teeny tiny dose. Most competitors suggest 750mg per 100 pounds of bodyweight per day, while R+D suggests quite a lot more. They recommend taking one pill per 100 pounds of bodyweight for “normal training,” two pills per 100 pounds for “intense training,” and another pill per 100 pounds following training. A 200-pound male such as myself would be taking 6 pills (4.5 grams of creatine HCl) on a tough workout day. Nonetheless, they say that HCl is a more effective form of creatine when compared to your standard creatine monohydrate. Why? Well, creatine HCl is made by bonding creatine to parts of hydrochloride molecules, which lowers its pH and makes it a little more acidic. When it’s in a powdered form (versus capsules), this means it dissolves much, much more effectively in water than monohydrate, which can be convenient for folks who don’t like their creatine collecting in a pile at the bottom of a shaker. However, there’s a theory that this improve solubility means it absorbs more effectively in the body, so you need less of it than you would if you were taking monohydrate. There’s no real world evidence to support this theory. One study did showed that test subjects had more creatine in their plasma in their blood when they consumed creatine HCl versus creatine monohydrate, but this might actually mean that less of it went to the muscles, where most people want it for performance purposes. That’s not to say that HCl is better or worse than monohydrate, just that we don’t have enough evidence to make a claim either way. That said, there is solid evidence that creatine HCl is easier on the stomach than monohydrate. By that I mean there are a lot of people who experience stomach cramps with regular creatine and find that HCl doesn’t produce this effect, so HCl could be a great choice for certain athletes. It’s also worth noting that it’s made in a Good Manufacturing Practices facility, which means they abide by regulations outlined by the U.S. Food and Drug Administration that ensure purity and reduce the risk of banned substances. This could be good news for consumers who are very worried about banned substances, though it hasn’t been tested by a 3rd party tester like Informed Choice or BSCG who specialize in banned substances. One tub costs $20 and it provides 120 pills of 750 milligrams each. That makes it 17 cents per pill or 22 cents per gram of creatine. That’s very expensive when compared to regular creatine monohydrate, which is typically around 3 cents per gram, but compared to other creatine hydrochlorides, which range from 17 to 52 cents per gram, it’s pretty cheap. 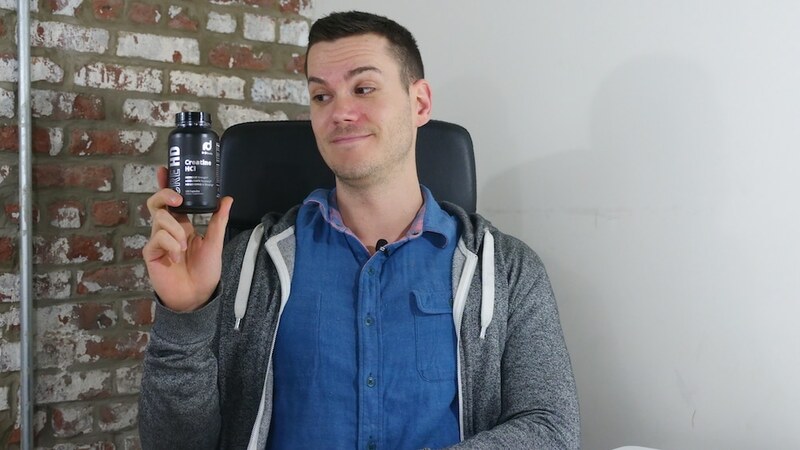 There’s not really much evidence that it’s more effective than regular creatine, but for a creatine HCl supplement this is pretty cheap and it should be a boon for those of us who experience cramps from regular monohydrate.